For more than 20 years, I have been a health, lifestyle and personal finance journalist. 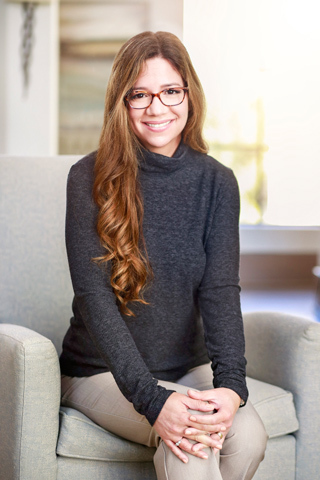 My articles have been published in dozens of major publications around the globe, including CosmoGirl, First for Women, Glamour, Marie Claire, New York Daily News, Self, Teen People, Woman’s World and Working Mother. I have also held senior editorial roles, including editor of WebMD’s health newsletters and managing editor of a national women’s entertainment magazine. As a health journalist, my articles have covered a wide range of important health concerns facing women, including anxiety, cancer, dementia, depression, heart disease, lung function, menopause, menstrual issues, osteoarthritis, osteoporosis, perimenopause, sleep problems, type 2 diabetes and weight loss. I have also written articles about reproductive hormones and their impact on mood, brain function, energy, libido and other facets of a woman’s life. Over the years, I have focused my reporting on natural, study-backed remedies, such as diet modifications, lifestyle habits and supplementation of vitamins and minerals. I have also regularly reported on breakthrough research in the fields of health and medicine. 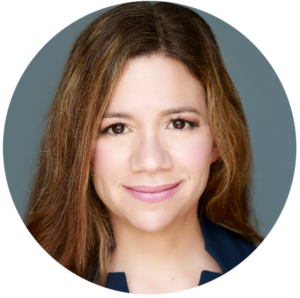 I have had the privilege of interviewing many of the world’s leading experts in a wide range of health fields, among them women’s health and hormone expert Elizabeth Vliet, M.D., gender medicine specialist Marianne Legato, M.D., positive psychology pioneers Mihaly Csikszentmihalyi, Ph.D., Christopher Peterson, Ph.D., and Martin Seligman, Ph.D., microbiologist Charles P. Gerba, Ph.D., chronobiology researcher Michael Smolensky, Ph.D., alternative medicine advocate Deepak Chopra, M.D., and biological anthropologist Helen Fisher, Ph.D.
For more than 10 years, I have written a weekly column for Woman’s World magazine reporting on consumer trends and personal finance. By tracking news, published research and new surveys, I keep readers up to date on a wide scope of retail and service industries. These includes apparel, automotive, big box stores, cosmetics, department stores, discount retailers, drugstores, entertainment, furniture, groceries, health care, home delivery, hotels, off-price retailers, online shopping, pharmaceuticals, rental cars, restaurants, ride-sharing, salons, shoes, spas and warehouse stores. I guide consumers toward improving many facets of their financial life by helping them find novel, easy-to-implement ways to save money, navigate new retail and job-seeking technology, improve their credit score, update their career skills, secure sensitive personal information and understand important changes in banking, credit cards, fees and taxes. Additionally, I report on marketing and advertising tactics, pricing structures and the psychology of shopping to help them better understand their spending and saving decisions. I created Hormonology® as an educational outreach mission that teaches women and girls how hormones in their monthly cycles impact their moods, health and behavior. There’s a growing movement to sync your life with your monthly cycle—and it all started with me. In 2005, I published my groundbreaking book, 28 Days: What Your Cycle Reveals about Your Love Life, Moods and Potential (Adams Media). This was the first book to show women how their rise and fall of reproductive hormones in their monthly cycle (estrogen, testosterone and progesterone) impact their moods, health and behavior every day—and how to make the most of these hormonal influences. 28 Days was widely covered in the media and was touted as “one of the top 10 women’s health books of 2005”. 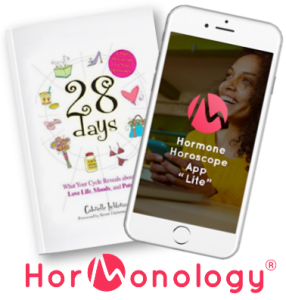 Soon after the publication of 28 Days, I created Hormonology—an educational outreach mission that teaches women and girls how the hormones in their monthly cycle impact their moods, health and behavior. I developed a suite of Hormonology tools to share this vital information including my popular Hormone Horoscope apps, Female Forecaster app and free guides for adults and teens. You can learn more about Hormonology at MyHormonology.com. I am a New York City gal transplanted to Florida’s Gulf Coast. I have always had a passion for writing—and I suspect it may have something to do with my genes. I come from a long line of female writers: My great grandmother was an aspiring novelist. And, her daughter, my grandmother, was a member of the New York City literati scene in the 1940s and went on to become a speechwriter for Eleanor Roosevelt. Originally from Manhattan, New York, I took full advantage of the city’s many famous treasures while I lived there, such as Katz’s Delicatessen, Central Park and its numerous museums. After a long search around the country to find the perfect follow-up to the Big Apple, my husband and I discovered St. Petersburg—a small, artistic city on Florida’s sunny Gulf Coast. One the first day of our first visit, we decided to move here—and now have many new treasures to enjoy. On those few occasions when I’m not writing, you can usually find me taking photographs, baking, playing with my dogs and enjoying St. Petersburg’s glorious beaches at sunset.